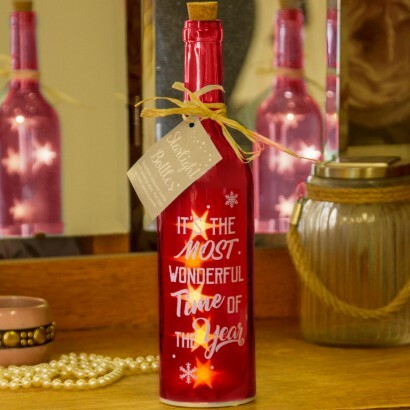 Spread a little festive cheer with this rustic starlight bottle with the message "It's the most wonderful time of the year". 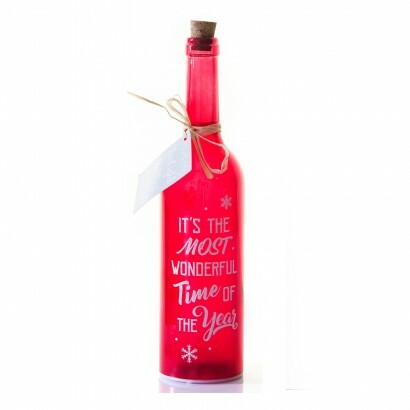 Stunning in festive red, this glass bottle light is packed with bright white LEDs that shine like stars when lit to make a simple but very effective lighting feature. Ideal as a table decoration, or as a Christmas decoration around your home, this starlight bottle light is battery operated and so can be placed anywhere for wire free fairy light effects.